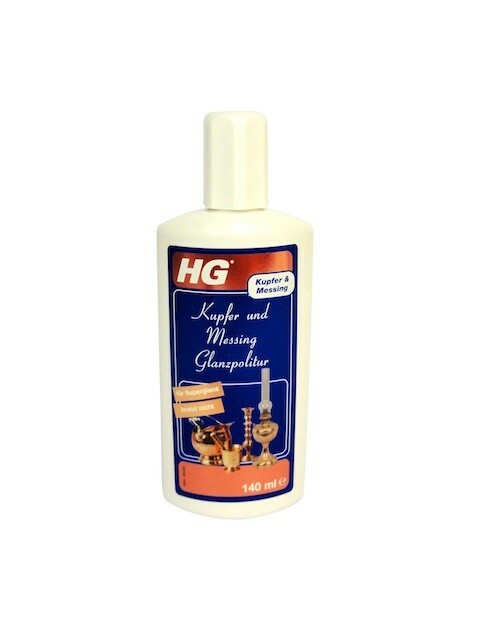 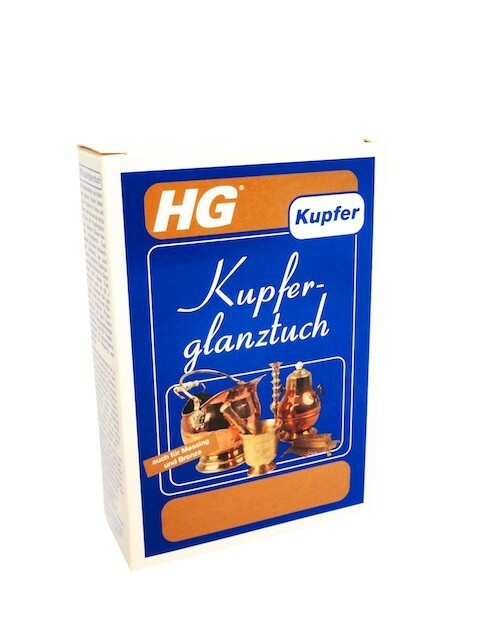 Would you like to have a genuine copper pot? 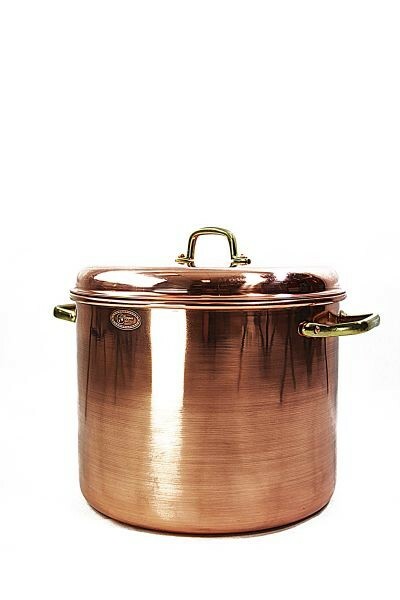 This lovely, hand-forged pot is sure to win your heart quickly! 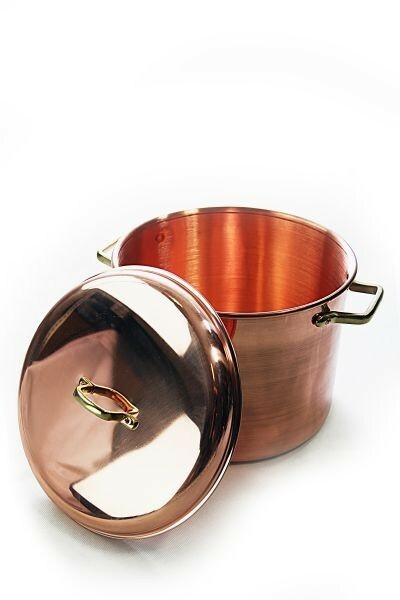 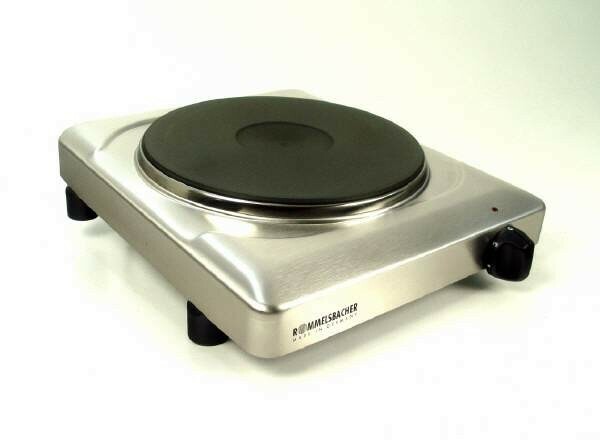 This versatile copper pot with cover from the brand name "CopperGarden®" is ideal for preparing stews, soups and traditional specilaities - thanks to the impressive volume of 12 liters and a diameter of 28 cm it is especially suitable for larger quantities - it does not matter if you are using an open fire, gas or electric stove. 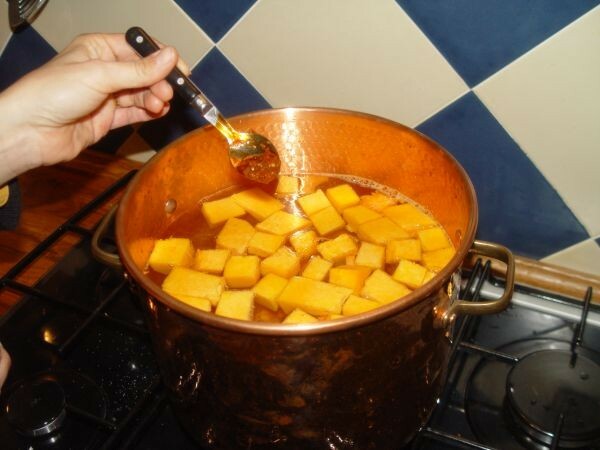 Italian polenta, octopus Galician style, fondue, risotto, couscous, jam, chocolate, marzipan, butterscotch, whipped egg whites, roasted almonds, all milk dishes, cheese, brandy punch, beer, mulled wine. 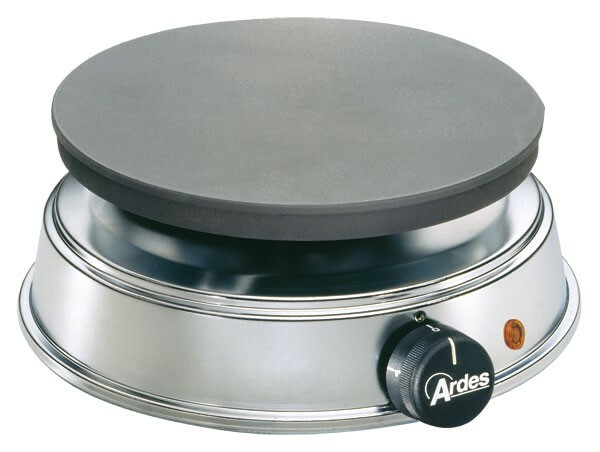 However, you can use the pot not only for cooking, but when not in use it is a decorative touch in your kitchen. 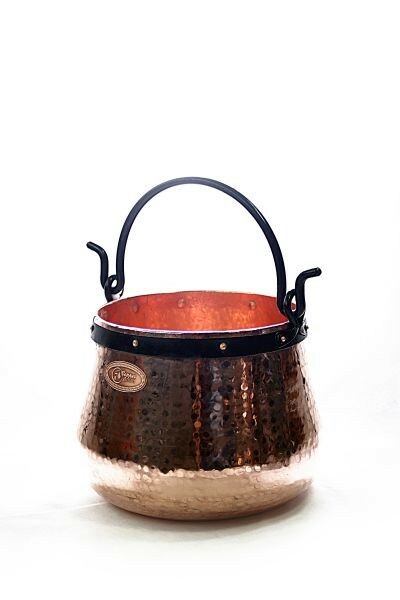 The hand-worked copper, as well as the hand-made brass handles are certainly an eyecatcher. 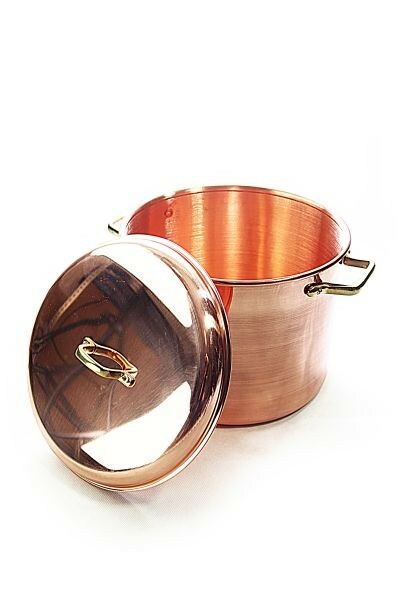 “CopperGarden®“ cooking pots are available in different sizes - please select your favorite pot out of our product range.